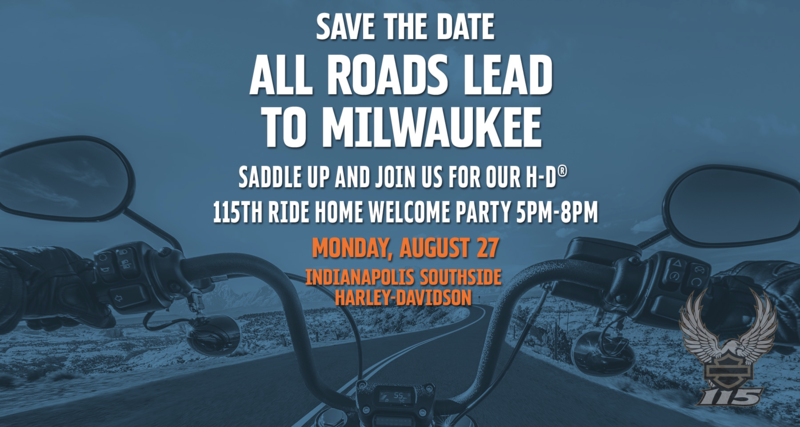 Harley-Davidson's® 115th Anniversary Celebration is just around the corner and, on August 27th, Southside Harley will be welcoming the riders from the Southeast H-D® 115th Anniversary Ride Home to Milwaukee. Our dealership will mark the start of the final 280-mile homestretch to the motherland, as riders will depart here on the morning of Tuesday, August 28th and travel Northwest (for one final stop with our friends at Calumet Harley-Davidson ), then shoot up to Wisconsin and into official H-D territory. Of course, one of the most fascinating things about a long ride- especially when surrounded by unfamiliar scenery- is the surprise of stumbling upon an intriguing roadside oddity that catches your gaze. 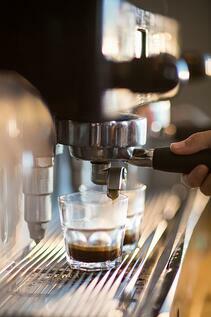 Sometimes it's worthy of only a passing glance and the murmur of a "hmm." But others may warrant a minor detour to investigate further. Well, ladies and gentlemen, the Midwest is known for some of America's most unique and iconic roadside wonders, and we've got a list of the top 10 must-see attractions along the road from Indianapolis to Milwaukee. Located in Roselawn, Indiana, a site known as Sun Aura has bounced between owners a few times since opening in 1933. But, even through several changes in management, one thing has always been missing from this quaint little camp: clothing. That's right, residents and visitors to Sun Aura should be prepared to experience maximum exposure at any given moment. Although, tourists aren't typically attracted to Sun Aura for the prime people-watching opportunities; rather the 63 foot-long Giant Lady's Leg Sundial. Ideal for the under-accessorized nudist, the gigantic woman's leg is positioned perfectly for an accurate time-reading based on the sun's position. 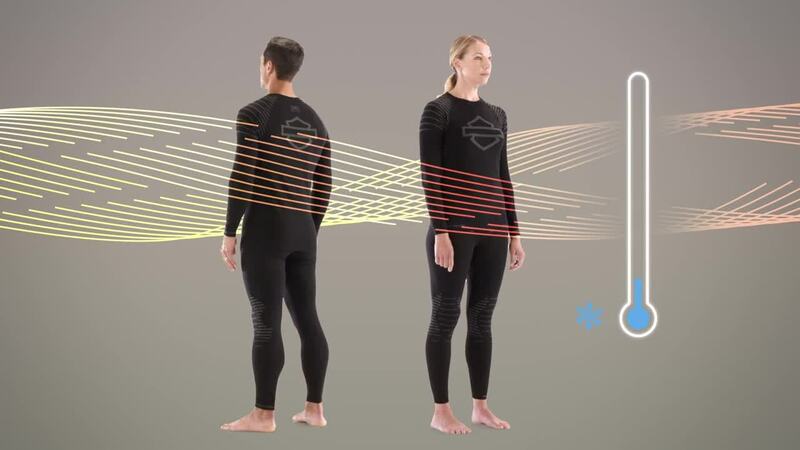 Now, don't get us wrong, visitors to the site have been quick to reassure that nudists typically roam a considerable distance from the leg itself, and are quite respectful of tourists who wish to remain fully clothed. Directions: I-65 exit 230, then west on Hwy 10 for three miles. The nudist camp is on the left, near a pale yellow mailbox and sign. Unbeknownst to many, Orville Redenbacher's gourmet popcorn empire began in the Indiana city of Valparaiso. Redenbacher settled in the area and grew his businesses before relocating to Colorado. Orville passed away in 1995, but to the city of Valparaiso, Redenbacher was a local celebrity. In 2012, they enlisted artist Lou Cella to create a bronze, spitting-image statue of Redenbacher- bow-tie, goofy glasses and all. Though he's known well for his wardrobe and style while promoting gourmet popcorn, it technically doesn't really belong to him. His signature look actually belongs to food giant ConAgra Foods, who refused to allow the city of Valparaiso to make any popcorn references in the statue. Jerks. Directions: The statue sits beneath the gateway into Lincoln Park, on the south side of W. Lincolnway/Hwy 130 just east of Lafayette St.
Get it? Okay- we'll spell it out for you. 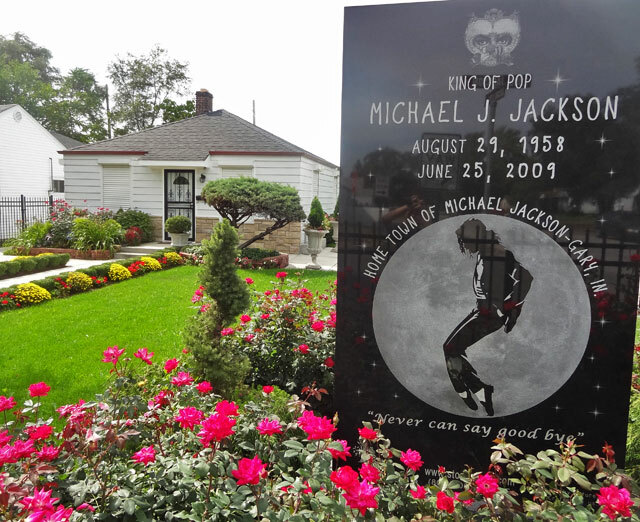 While Valparaiso pays homage to the King of Popcorn, a tiny house in a small Gary, Indiana neighborhood marks the birthplace of the one and only King of Pop, Michael Jackson. The home itself is not extravagant by any means, but visitors note that the property is maintained beautifully, though the surrounding neighborhood is mostly abandoned and run-down. 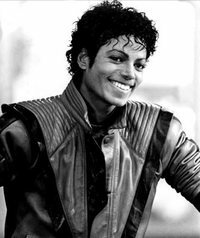 Still, the large, granite monument in the yard is a powerful symbol of Jackson's journey from humble beginnings to world-renowned stardom. Directions: I-80/94 exit 10. Drive north on Broadway for four blocks, turn left onto W. 23rd Ave. for six blocks. On the left, just past Jackson St.
As you cross over to the other side (of the border- we mean the border), you can find the next attraction just West of 294 in the town of Midlothian- though it's not for the faint of heart. Bachelors Grove Cemetery's first burial was back in 1844, but reports of strange, paranormal happenings didn't begin until the 1960's. It was around this time that vandals began to wreak havoc on the abandoned burial ground. Some say that hauntings began here as a result of these mischievous disturbances, but no one can truly be certain. While the cemetery itself has become a paranormal hot-spot, sightings and strange apparitions have plagued passers-by along nearby roads and trails. In the 1970's, two forest preserve officers reported seeing the ghostly silhouette of a horse and plow emerging from a mossy pond adjacent to the cemetery. The officers later learned the legend of an 1870's farmer who became tangled in the reigns of his horse and was then dragged into the water to his death. Directions: Off the beaten path a bit. I-80 exit 148B. North five miles on Hwy 43/Harlem Ave. Turn right onto 143rd Ave. and drive 1.5 miles. Turn left and park in the Rubio Woods parking lot. Walk back to 143rd Ave., look to the right, and see the large phone towers. Cross the road to the south side. The trail to the Cemetery is just to the right of the towers, leading to the right and south, back into the woods. Follow the trail for a quarter-mile, and the cemetery will be on the right. Your next attraction is due North a bit on 294 and happens to be yet another cemetery in the town of Justice, Illinois. 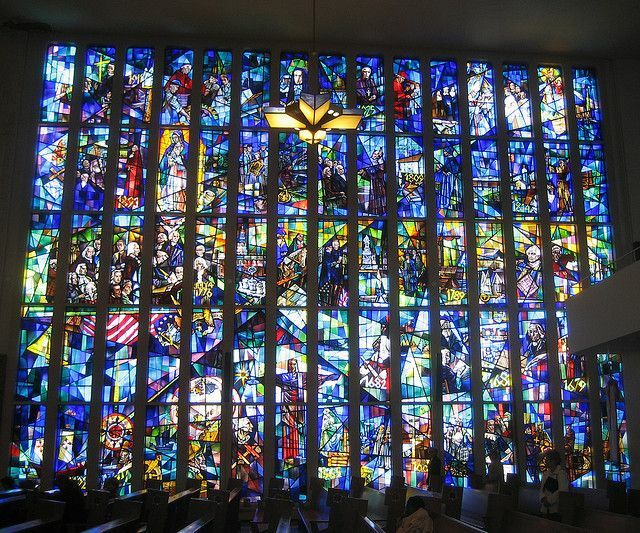 While there are reports of paranormal happenings here, Resurrection Cemetery is also known for something of more significant beauty: the world's largest stained glass window. The window is recorded by the Guinness Book of World Records as being 22,381 square feet in area and assembled from 2,248 individual panels of glass. The art features significant events from history, including the Garden of Eden, Atomic Explosions, Airplanes, Skyscrapers and even depictions of space exploration. Directions: I-55 exits 282 or 282-A. East across the river on Hwy 171/Archer Ave., then bear right and continue south on Hwy 171. Resurrection Cemetery entrance is on the left at 71st St. The Mausoleum can easily be seen from the road. Okay, okay- last graveyard, we promise. But this one is much more historically relevant. Hillside, Illinois is home to Mount Caramel Cemetery, the gravesite of one of America's most notorious gangsters: Al Capone. You can't miss the gigantic Capone family monument on the grounds, which makes for a great photo opportunity. 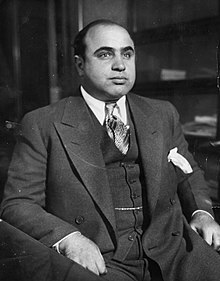 Visitors to the site will sometimes pay their respects to Capone by leaving pennies, booze, or other trinkets on his grave. Directions: Enter Mount Carmel Cemetery from Roosevelt Rd and make a right. It's about six graves down and on the right side. A large grey headstone reads "Capone." 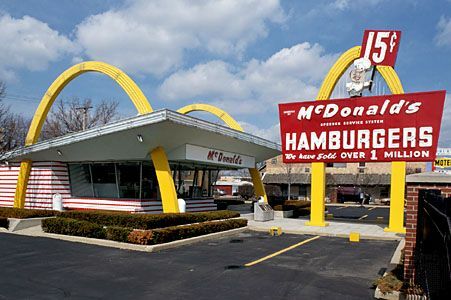 In 1955, Ray Kroc opened his very first McDonalds restaurant in Des Plaines, Illinois. 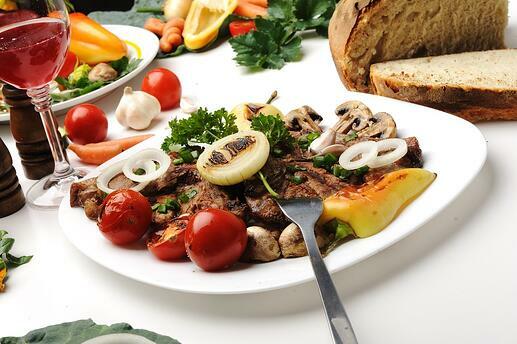 Kroc considered this particular restaurant to be his favorite, and it was continuously updated and remodeled until 1984, the year that Ray Kroc died. In 1985, the location stopped serving food and was rebuilt as an identical match to the original 1955 design. But, don't expect to buy a Big Mac here- the location no longer serves food. Up until 2008, visitors could enter the building to explore the McDonalds franchise history and to be reminded of Ray Kroc's legacy. But, due to continuous flooding in the area, the restaurant and it's nostalgic interior can now only be viewed from the outside. Still, it's a great opportunity to stand in the presence of some true, American history. Directions: On the west side of Lee St./US Hwys 45 & 12, just south of where US Hwys 45 & 12 split, and just north of US Hwy 14/Miner St. If you've ever driven up I-94 into Wisconsin, you've likely noticed the Mars Cheese Castle once you approach the Kenosha area. If you haven't taken some time to explore the castle, it's well worth the detour! Of course, you can expect a royally generous cheese selection, but the castle boasts a full restaurant and bar, a gift shop, and some truly unique photo opportunities. Directions: I-94 exit 340, on the southwest side of the freeway. 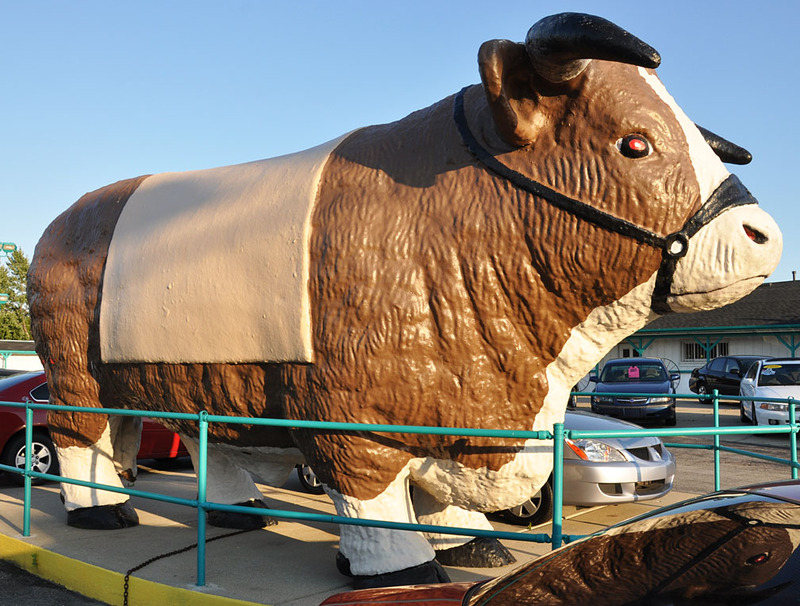 This next attraction has absolutely no historical significance, but there's just something about a 15-foot tall bull sitting in front of a car dealership. The giant steer- and apparently two of it's siblings- belonged to a restaurant called Black Angus, but now this one works in vehicle sales at adjacent car dealership, Frontier Motor Cars. The story behind the bull is a bit vague, and it's difficult to pinpoint exactly what the inspiration behind the piece was, but it's still an unusual find. Just stop by and take a photo- there's no other place you can find this much bull outside of your office. Directions: Frontier Motor Cars, East side of S. 27th St. just south of Edgerton Ave. Your last roadside attraction will take you a bit further beyond the Harley-Davidson Museum, but you can't say that you truly experienced Milwaukee until you've met Arthur Fonzarelli. You likely know him best by his nickname, "The Fonz," from the iconic television show, Happy Days. 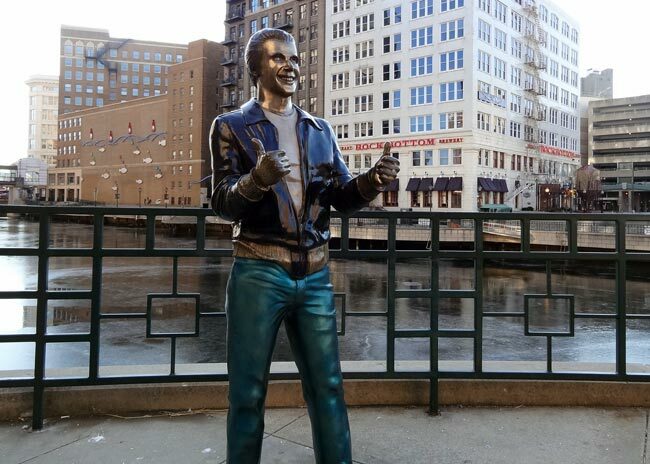 Sadly, you won't find Henry Winkler strolling along the Milwaukee River Walk (though he did attend the unveiling of his statue), but instead, a bronze statue commemorating the classic, fictional Milwaukee native. Known to the locals as The Bronze Fonz, the statue was completed in 2008 by sculptor Gerald Sawyer, in all bronze to resemble an Oscar statue. 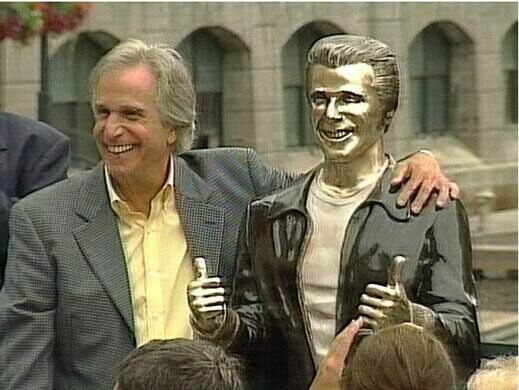 But, just before the unveiling of the statue, the city of Milwaukee decided they wanted The Fonz to be portrayed with his iconic leather jacket and white undershirt.Now, spectators are free to stroll along the Milwaukee River Walk and pose for a photo with the one and only Arthur Fonzarelli- and no trip to Milwaukee would be complete without it. onto Wells St. Drive three blocks, cross the river, and the Fonz will be on the far side, on the right. FROM THE NORTH: I-43 exit 72E. Drive south three blocks, then turn left onto Wells St. Drive three blocks, cross the river, and the Fonz will be on the far side, on the right. We Want To See You Here On August 27th! 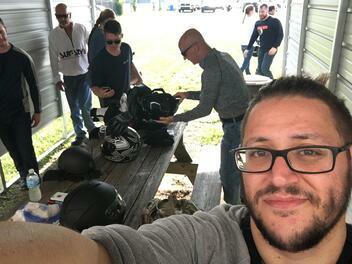 Figuring out how to ride a motorcycle on your own is definitely possible. Figuring out how to ride it safely- well, that's a completely different story. For myself, I learned how to operate a motorcycle a few years back, and I did it how anybody else today might go about picking up a new hobby: Youtube. I had no experience with a manual transmission; didn't know what a clutch was, let alone how to use it. 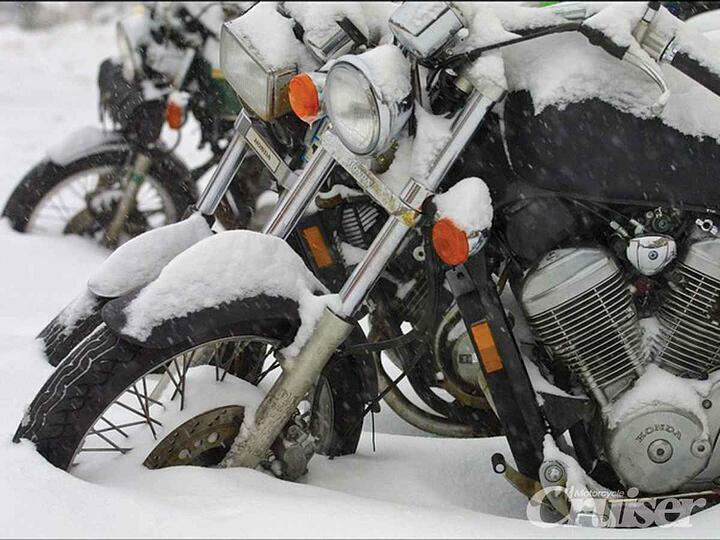 In fact, I bought my first motorcycle before even considering how I was going to learn to ride it. I walked into a dealership out of sheer curiosity, fell in love with a pearl-white beauty, and had it delivered to my driveway within that same week. Did I jump the gun a little? Sure. But how hard could riding a motorcycle be? Within the 24 hours prior to her delivery, I had consumed as much information from video tutorials as my brain could possibly contain. I practiced the clutch-shift-throttle motions over and over until it practically became muscle memory. 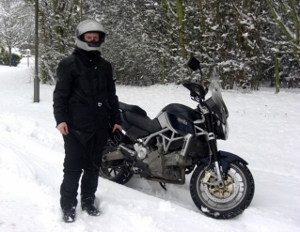 I was so confident in myself and could hardly wait to get on my new baby for the first time. I'll never forget the first time I started her up. My 10-year-old son and his friend, Justin (who grew up around Harley's and probably knew more than I did about motorcycles), were standing in the driveway when my brand-new cruiser emerged from the truck. Not eager to embarrass myself in front of the delivery guy, I waited until he pulled off before I swung my leg over the bike. I sat there for a few minutes, excited in anticipation for the freedom and adventure that awaited me. I looked up toward the garage- about 40 feet ahead of me- and decided that reaching it would be our first journey together. But as I looked back down toward my hand controls, I realized that in all my perceived learning, I must have overlooked how to simply start the bike. Luckily, Justin- the 11-year-old from down the street- was there to offer some neighborly advice. "It's that button there," he pointed toward a switch near the right hand-grip. I pushed it and was instantly filled with adrenaline as I sat above the roaring engine. Confident in my Youtube education (and after overcoming that one minor obstacle) I pulled in the clutch lever and began to go through the motions just as I had rehearsed. Not but five seconds later, I found myself climbing out of the hedges beside the driveway. Determined to get it right, I picked up the bike and kept working at it until I was able to ride with more proficiency. Eventually, my bike became a daily commuter to me- but it didn't happen without a few scares and a little bit of damage. What I didn't realize until just recently is that most (if not all) of those scares could have just as easily been avoided if I had just taken a rider safety course- specifically, the Harley-Davidson® Riding Academy New Rider Course. Okay, full disclosure, I am an employee here at Southside Harley-Davidson, but this is far from a promotional testimony. 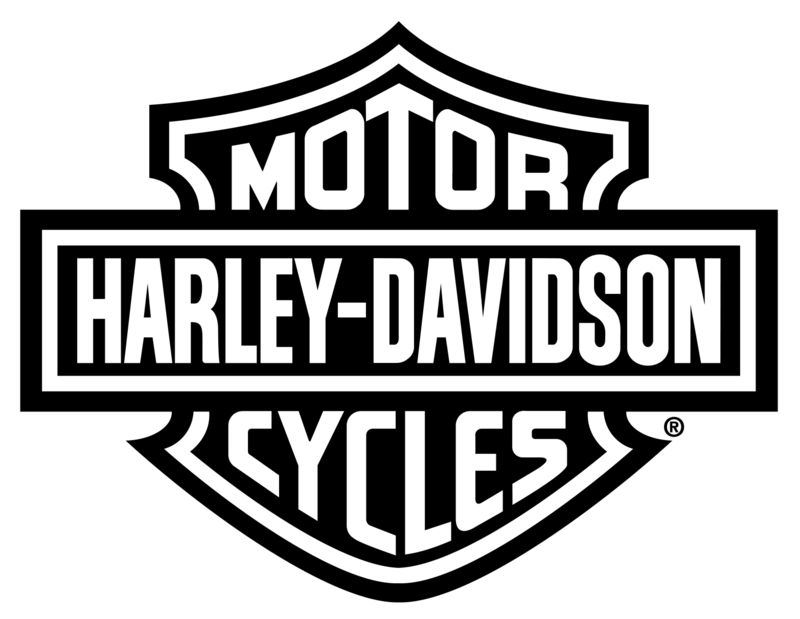 Although I started riding a few years back, I had never actually received my motorcycle endorsement (oops- I'm sure some of you may be able to relate), and being one of just a few employees at a Harley-Davidson dealership who can't legally operate a motorcycle is a somewhat isolating position to be in. So, I signed up for the Riding Academy, with the (cocky) expectation of flying through the course and graduating with honors (FYI, there's no such thing). In the beginning, I started this journey in pursuit of my motorcycle endorsement, but what I got from the Riding Academy was far more valuable than just a stamp on my license. Going in to the course, I was pretty confident in myself; having ridden for one entire summer, I was sure that I knew how to operate a motorcycle just as well as anyone else in our group. As we took turns introducing ourselves and detailing our riding experience and what each of us hoped to take away from the course, I was quite surprised by the diverse mix of new and experienced riders. I was actually a bit confused at first, wondering what someone who had ridden for 10 years could possibly acquire from a basic riding course. As it turns out, we all had something to gain- but some of us didn't realize that yet. It wasn't until we began diving in to the classroom exercises that I realized how little I knew about motorcycle safety. Yes, I knew how to operate my bike, but riding (for those who'd like to live, anyway) is more than physical motions; it's a complete, unbroken awareness of the world that moves around you; it's anticipating how your environment may change in the blink of an eye, and mentally formulating how you'll respond to it; it's the responsibility of maintaining the mindset that you are always at a disadvantage and that one wrong move could have a rather unfavorable outcome. If that makes you a bit nervous about riding, that's good- because that means you'll likely take motorcycle safety seriously. 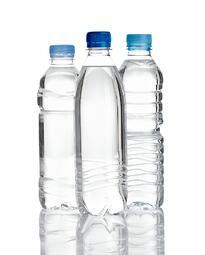 This is something that the coaches really tried to drive home in each of us. Not to scare us, but to open our eyes to the smallest factors that could impact us for the rest of our lives. What I found so captivating about the classroom portion of the Riding Academy is that our coaches didn't simply teach the lessons from the book like a robot; they preached it like it was the Gospel; they spoke passionately from decades of riding experience and genuinely believed every word they spoke to us. They made believers out of us. By the time we hit the range and got on our bikes for the first time, each of us- including the more seasoned riders- had become better equipped and prepared for the challenges ahead. But some of us (yes, me) had a few bad habits left to break. In 2015, I took a pretty nasty spill going into a left turn. In fact, I was riding home from work- probably for the hundredth time- along a very familiar route. I stopped completely, checked left and right at least twice, triple checked for oncoming traffic, and proceeded to turn on to my own neighborhood street. About half-way through the turn I caught a peripheral glimpse of a car coming toward me in the oncoming traffic lane. I turned my head toward the car, became fixated on it, and went down on my left side. Not long after, I sold my bike and tried to forget the whole thing. But I spent the next three years replaying that dump in my head, trying to figure out where the hell that car came from. Truth is, it doesn't really matter. I became fixated on that car and, on a motorcycle, your body takes your bike wherever your eyes are looking. That's a lesson that I wish I had learned long before the Harley-Davidson Riding Academy. In fact, if finally being able to understand the reason I went down that day was the only thing I learned from the course, it would have still been worth it. Now, most of us were fortunate enough not to have a fall and embarrass ourselves out on the range, but we had our fair share of screw ups. You wouldn't think that- with only two days on the bikes- each of us could get any one-on-one time to address our shortcomings- but, even with 12 individual riders revving for attention, it felt as if we had our own personal coach. They were patient, understanding, compassionate and genuinely caring. They wanted us to succeed as badly as we did. The whole atmosphere was invigorating; not only did our coaches cheer for our victories but, through their passionate energy, they inspired the entire group to celebrate as a team. I couldn't imagine a more supportive and motivating environment to learn how to ride. By the time we took our skills test, there wasn't a single nervous tremble in my bones. In fact, I've never felt more comfortable taking a test (let alone a motorcycle skills test) than on that final day of the Riding Academy. Even in front of my peers and coaches, I couldn't have been more calm and collected. It was like being in the presence of family, knowing that literally everyone around you is rooting for you to succeed. Seriously, when was the last time you took a test at the Bureau of Motor Vehicles and the customers and staff cheered for you when you passed? Yeah- doesn't happen. There's an incredible satisfaction when you graduate from the Riding Academy and earn your motorcycle endorsement. It's so much more than just another letter added to your driver's license. It's symbolic of hard work, perseverance, and dedication to safety. It's something to be proud of, and something you can carry along with you wherever the road leads. 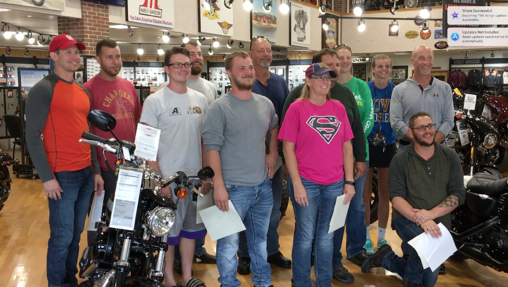 From the bonds that we formed with our fellow riders, to the valuable lessons that we learned from our coaches, the Harley-Davidson Riding Academy was well worth the cost. Sure, you can learn to ride from Youtube or the 11-year-old down the street, but neither will prepare you for the real-world dangers of the open road like the H-D Riding Academy. While the entire experience was incredibly humbling, I now have more confidence in my own skills, abilities, and awareness as a rider than I had ever (realistically) had in the past. In fact, I can now sit more peacefully behind the wheel of my car, with greater awareness for the environment around me. Heck, I truly believe that anyone who comes within 10 feet of a motorcycle- rider, passenger, 4-wheeled motorist, etc.- should go through this course, even if only to understand the unique perspective of a motorcycle rider. I'm excited to put my new skills to the test and to be a safer motorist, overall. Although, before I take to the streets on two wheels, there's still one last obstacle I'll need to overcome: persuading my wife to welcome a Harley into our family. You've put this off long enough. 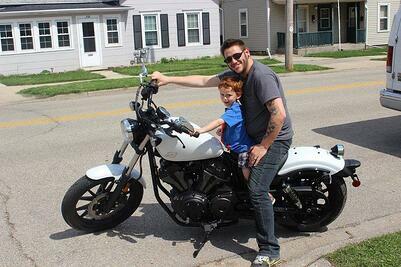 Already a Southside Harley Riding Academy Graduate? Now you can stay connected to the friends and fellow riders you met throughout your journey- join the Southside Harley Riding Academy Grads Facebook group and continue to learn, grow and ride together! You learned as one; graduated as one; and now, you can RIDE as one!